Snrky: Only if you don't consider its purpose to be bug generation. Only if you don't consider its purpose to be bug generation. After all, software is eating the world...or so I'm told. Title: Only if you don't consider its purpose to be bug generation. 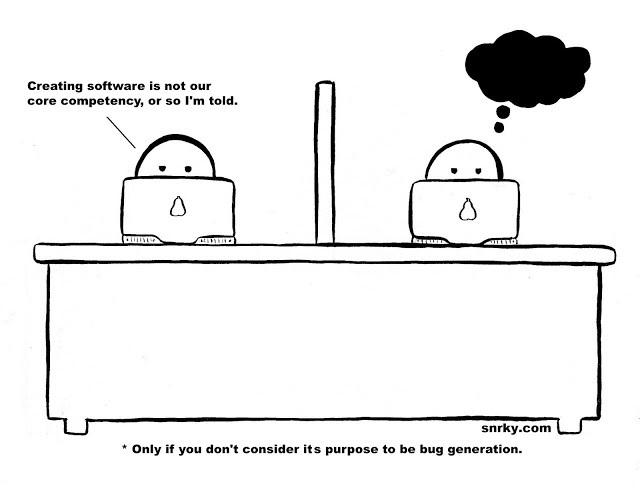 Snarky: Creating software is not our core competency, or so I'm told.